Intel Broadwell-EP processors are going to launch in Q1 2016 but details of some specific SKUs have already made their way on the web. Posted over at Chinese online retailer, Taobao, is a specific Intel Xeon "Broadwell-EP" SKU which has been marked as a qualification sample and one can buy it for 15,500 Chinese Yuan, although there are some things to think twice about before buying a non-retail chip off an unknown source, regardless, the user who made the listing posted some benchmarks of the specific chip which look really interesting. 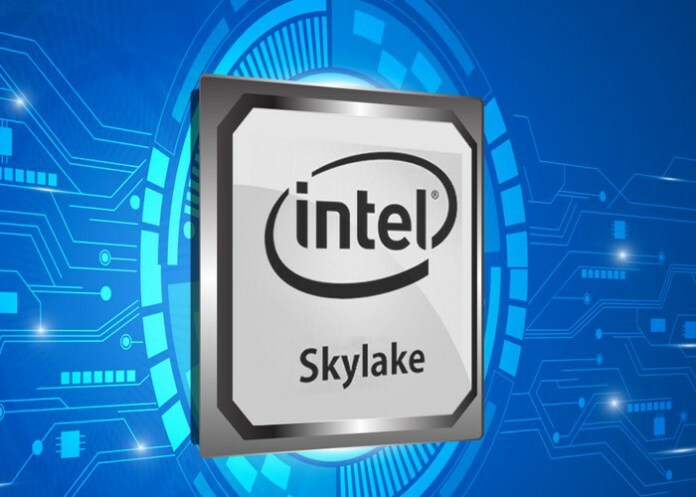 Intel has announced details of its Skylake laptop processors with new branding for its Core M line of power-efficient hybrid and laptop chips and, in a first for the company, a Xeon-branded laptop processor. Intel’s new Skylake, or sixth generation Core M, processors will be branded as Core m3, Core m5, and Core m7 and are designed for hybrids, tablets and very thin, fanless ultra-portable laptops. All will be dual-core chips with 4.5W TDP. One of these new Core M processors will be at the heart of a new Intel Compute Stick mini PC although details about this revamped Compute Stick aren’t currently available. The far more powerful Xeon E3-1500M V5 quad-core processor will not only have ECC memory and be certified for the stable running of certain professional applications but will have an unlocked multiplier for overclocking. Intel claims that the 45W TDP chip can be successfully overclocked to 4.2GHz with air cooling alone. Other new sixth generation Core processors will fall into a number of different families. U-series processors will be dual-core 15W TDP chips designed for ultra-portable laptops, all in one PCs and mini PCs. The Xeon E3-1500M is part of the H-series.